Lighting produces approximately 20% of the world’s carbon emissions. Switching to LED is a necessary step to protecting our world. Today we need to combat ever-increasing energy prices, cut costs and meet carbon reduction targets. Are you looking for ways to reduce your energy consumption? The simplest step to a more energy efficient building, is to switch to LED lighting. Lighting typically accounts for around 25% of a building’s energy usage, roughly 9 million tonnes of carbon a year in the UK alone. You can dramatically reduce this consumption, with minimal disruption to your operation through our Retrofit+ LED solutions. With Goodlight™, it’s as easy as changing a lightbulb. We have designed Goodlight™ LEDs to fit seamlessly into your existing lighting system – they produce the same quality of light as your current lamps, but use up to 85% less energy. They also require approximately 90% less maintenance over their lifespans, which are 5-10 times that of traditional lamps. It can be difficult to convince stakeholder and managers that a investment in your lighting system today will save your company a fortune in the long run. 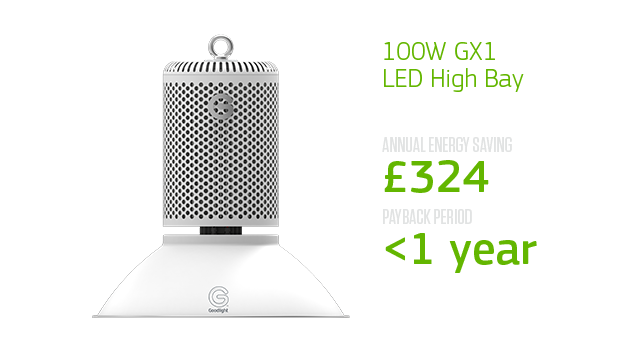 It’s reassuring to note that most of our lamps will pay for themselves in energy savings within 10 months! Effective illumination with efficiency should not be a luxury, it should be a standard we all strive for. 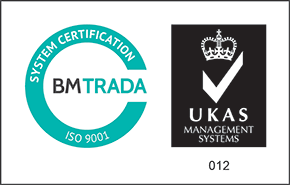 We create easy solutions to meet diverse requirements. We have lamp or luminaire solutions for commercial, industrial, amenity and leisure applications. Goodlight™lamps are installed into education, health, leisure and civic buildings helping central and local government agencies to drive carbon-cutting programmes. Our lamps are used in data centres, labs, production plants, warehousing and engineering – where lighting is in use 24 hours a day – there is no better option. Goodlight™ solutions are being installed into offices and retail stores as you read this, with several national projects on-the-go at any one time.